" MULTIVAC has been one of the important exhibitors since swop launched in 2015. Compared with 2015, more effortwas put into promotion by the organizer. We found swop advertisements spread over various major industry and media channels, promoting not only for the show but for exhibitors as well. During show, we received some packaging inquiries from customers in the industry. As a member of the SAVE FOOD China Forum,MULTIVAC probed further into the topic on how to reduce food loss and waste, together with leading food processing and packaging exhibitors. The feedback was rather positive. " "We were deeply impressed that there were so many professional industry visitors at swop 2017. Many of our customers were present at swop as well. Numerous customers were there to discuss the purchases and cooperation with us. We also feel very good about the future of China's packaging market. As the consumer base expands, the demand for packaging and the style of design will increase accordingly." "This was our first participation in swop and it’s kind of experiment for us. The flow of people was fine, but we had some interesting discussions, and met a lot of potential customers. 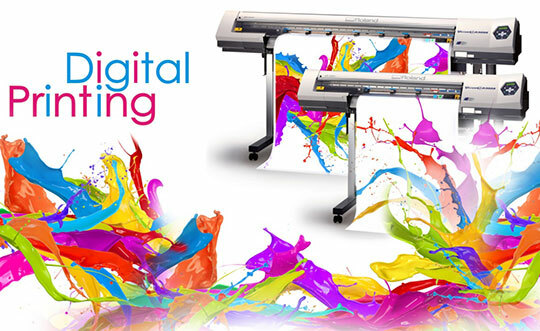 We will participate next time and may bring with a full system equipment for exhibition." "Generally swop is the no.1 market for German machine manufacturers which works in packaging production. The German companies are happy about the attraction of the quality promise made in Germany at swop 2017. The perfectly organized trade fair really shows what the word “swop” means – the World of Packaging from packaging materials to smart packaging in one show." "I think swop 2017 is very good because of the abundant resources and networksshared by the three organizers including Adsale, Messe Dusseldorf and China Food and Drug International Exchange Center, as well as the support from partners and Package Family. I am very grateful to attend this platform to showcase the exhibits and I am very satisfied see so many domestic and international visitors. I believe the development of China's packaging has unlimited possibilities. Compared to the United States, every Chinese consumer used more plastic packaging per year than the United States, so demand is relatively large." "swop is an extension of interpack in China, jointly organized by Adasale and Messe Düsseldorf. It’s a grand gathering of the packaging industry, exhibiting packaging machines from various industries. swop is also a great opportunity for us to learn about clients’ demands from all over the world. This time, we brought our latest production, servo smart pump capping machine to swop, a world leading level machine. As an international platform, swop let more and more people learn about Made in China." "This is the second time I participated in swop. Compared with 2015, we think this exhibition has been upgraded in all aspects such as the number of professional visitors and the number of brands. We feel like we were invited to a great party and I believe swop will become better and better every year! For our company, there were international visitors but the proportion of domestic visitors was larger. For example, there were many popular brands in the Yangtze River Delta such as Estee Lauder. Although the exhibition area was not very large, it is more focused on the latest packaging technology, which attracted numerous new customers and old customers so I was very grateful to attend the platform. In addition, China's packaging industry is growing. The packaging technologies are superb and upgraded due to the contribution of the leading exhibitors. I’m very confident and optimistic about the development of China's packaging and the exhibition." "This is my first time to swop and I found it is worth visiting. The machines are comparable with those made in Europe. Also, I am impressed that the price is reasonable and much cheaper than those I’ve bought before. I am interested in booth W1L01, took some photos and will think about purchasing. So far, I didn’t plan the budget for spending at this show but will place order if the price meets my expectation." "The quality of the exhibitors is very good and I came to look for packaging machinery to expand my printing business to packaging business. I’m glad that I can find many relevant exhibits at the show. I have ordered ($100,000) worth of machinery from the suppliers on site and will definitely visit the show again in 2019!" "I am a manufacturer of packaging and this is my first time participating at the fair. I came to find new suppliers and potential business partners. The show is very professional and I see a lot quality exhibitors. The visitor registration speed is very fast and I am quite happy with the show’s overall performance." "This is my first time to visit swop. I came here to have a look at what is new in the packaging market and what kind of new packaging technologies may appear in the future market. Also we are looking for automation, new packaging, labeling and see what’s in the rest of world today. The most impressive technology I see at swop 2017 is the Family forming / Family molding which can change your mold and brush the printing all in one piece of machinery. It’s a very good experience to visit swop and it can be comparable to other exhibitions that I’ve been to. It’s very different as it exhibits something we cannot see in UK and Europe as many exhibitors are from China. I am impressed with the automated manufacturers, such as horizontal form machines, whole packaging line from end to end, processing side of things like packing, forming, labeling and wrapping. We will definitely visit the swop again!" "I think swop is an interesting exhibition and this is my first time visiting the show. I have not yet placed any order but I have took a look samples. Will review and contact the exhibitors later. I am particularly interested in the products of Ruian Lilin Machinery Co. Ltd and TrojanJet Intelligent Technologies. I’ve visited around 5 shows a year and I prefer the shows in China as I can find many good quality exhibits." "I came here to look for some packaging machinery and I am happy to see many relevant exhibits at the show. I am very satisfied with the show management. Compare to the last edition, I can see the increase of the exhibiting area and the number of machines. I had a fruitful visit and will definitely come again." "This is my first visit to swop and we found it is a high quality show. Some machines are even comparable with that made in Europe. Also, price is reasonable and it is much cheaper than those from Europe and the US." "This is my first time to visit swop. The profile of exhibitors is good, the fair was coordinated and organized very professionally and it was indeed a good visit." "This is my first time participating at the fair. I have found a lot of suppliers which fit my company’s needs. It was a good experience for me to understand more about the operation of Chinese factory through communication with exhibitors. The show is great and there are numerous of professional concurrent events that are worth attending." "The quality of the exhibitors is very good; we have found a lot of suppliers which fit our needs. We really like the exhibition and we will definitely com again!" "The Filling machines and solutions are displayed in swop 2017 with complete variety and excellent quality, which we seldom see in other shows. We wish to see more Food/ Confectioner/ Bakery machinery in the next swop. We are greatly satisfied with the VIP Buyer Programme." "This is our first time to visit this show. During the show period, we met a lot of suppliers whose products are fitted our needs, and we also got some idea about the factory operation in China. This show is good and we found that there are numerous of valuable concurrent events that are worth to attend." "This is our first time to visit swop and we are satisfied with the show as well as the business matching service. We have communicated with some exhibitors and we are able to find the machines that we are looking for, but it would be good if there can have more Aseptic Packaging machines in next edition. We also appreciate the VIP Lounge service that arranged by organizer." "I think the delegation trip (FMM) is well organized in visiting the show. I am satisfied with the Factory visit which I can not only get some new and useful information but also the deep and professional illustration from the factory. I will rate a 5 stars for the factory visit." "This is our first time to attend swop, for sure that we need to go again in 2019. We visited W1, W2 and W3 (Exhibitor: RUIDA JINPAC, Haihang Machinery Co., Ltd.) during show period. We are now contacting with the exhibitors for paper cup and lid. In my opinion, this exhibition is useful for my business a lot, and I will suggest my friend to visit swop 2019 too." "I was very glad to receive the invitation from the organizer to attend swop for the first time. We were pleased with the VIP reception. The main purpose of our participation in the exhibition was to see some equipment and packaging materials related to cosmetics. Some of the exhibitors' products are very outstanding." "The organization and services of this exhibition are very good. We have successfully collected the latest industrial information and got the supplier resources in paper packaging. I hope that the exhibition will be bigger and better in the future." "In this exhibition, Want Want Group organized different departments to attend, such as sales, production, equipment and design etc., They participated in the various parts of the show and obtained the latest information of the industry. At the same time, I am very impressed with the services provided by the organizers. The overall evaluation is very satisfactory!" "My main purpose in visiting swop 2017 was to find packaging materials and equipment, such as production of cans as well as to find suppliers for our new planned products for 2018-2019.We mainly produce daily chemicals and cosmetic products like skin care products, so I came to find the related packaging.I found some new glass and hose packaging for essence and eye cream. They are exactly what I need for our new products. I also met some suppliers with innovative products like Beauty Star. Compared with the last edition, suppliers are more professional. In addition, I have attended concurrent events and learned many of the latest packaging market news. I will definitely visit swop again in 2019!" swop is the most influential exhibition in the packagingindustry. As the leading company in the Aluminum industry in China, we saw the latest products and technology as well as the good services organizers provided at swop, in the meantime, we made some friends here. It's worthwhile to visit. "The exhibitors are fully equipped with all kinds of packaging products. 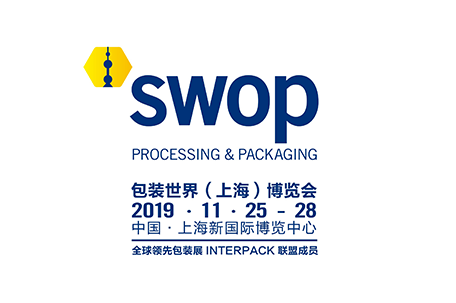 This time, I came along with our brother chamber of commerce and they all praised that the organizer is very considerate, and we received a lot of professional knowledge on the packaging industry from the exhibition!We all look forward to swop 2019!" "All of our members had high praise for swop. They learned a lot about new materials and design inspiration about food packaging at the exhibition. The organizer was also very professional and the concurrent events were very excellent. Looking forward to our cooperation next time at swop2019." "It's the second time our association visited swop. You can find the packaging of raw materials and packaging equipment and other packaging products here. Newest technology and latest trends were showcased during swop 2017. All the association members gave great feedback for the show. During the cooperation with the organizers, we felt their perseverance and preciseness. Hope swop will keep its innovative and leading position in the industry and get better and better."